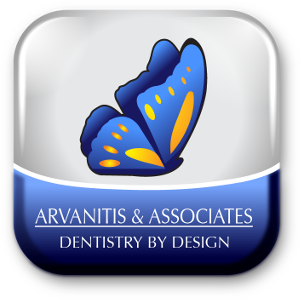 At Arvanitis and Associates we have been providing the utmost Dental Care in the most relaxing environment possible for over 25 years. It’s no wonder that we have been voted “Best Dental Office” almost every year since the KW Record first began reader polling. 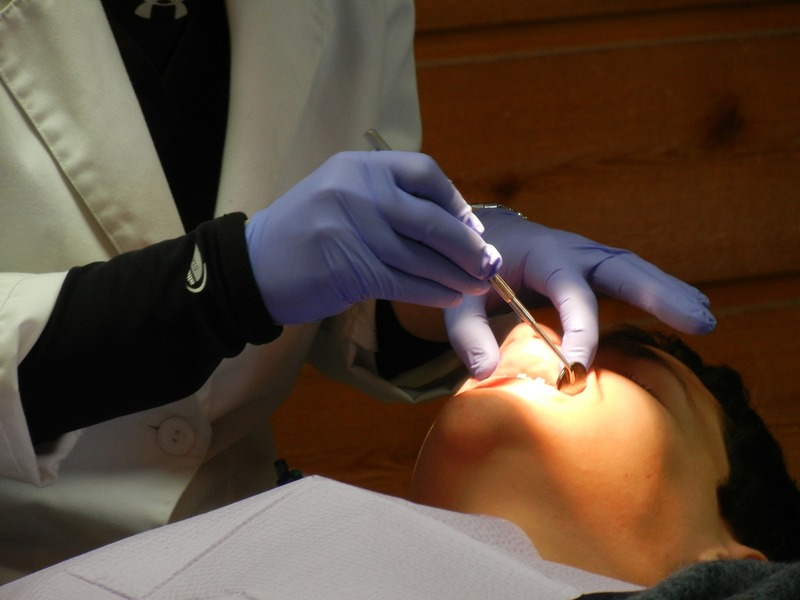 Our staff of Dentists and Hygienists provide all the services you might require of a dental office. So if you are looking for a new Dental home- why not give us a try. 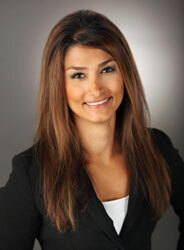 At Arvanitis and Associates we are first and foremost a family dental office. Our team of Hygienists and Family Dentists provide all of the routine care your family requires, from routine cleanings and fillings to wisdom teeth and emergency dental care. We are open extended hours until 8pm and we follow the Ontario Dental Association suggested fee guide. This is the same fee guide used by all Dentists in Ontario. We understand that emergencies don’t occur at the most opportune of times. That’s why we see anyone in pain right away during our working hours. We may not be able to fix the problem definitively at that time but we can at least diagnose and get you comfortable. If you are having a dental emergency please give us a call. Let's face the facts! Nobody likes having dental work done- the injections, the noise, the anxiety!! Now imagine having all your dentistry completed while relaxing in a comfortable twilight sleep state listening to soothing music under a warm blanket. This is the experience that we routinely provide for our patients. We offer 3 different types of sedation- Nitrous Oxide and Oxygen; Mild Oral Sedation and Intra-Venous Moderate Sedation. 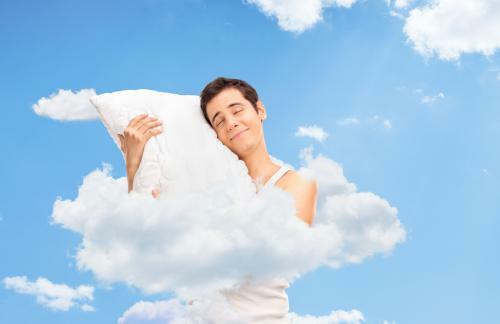 Patients who have used sedation find that they leave the office feeling rested and calm. If this sounds like the kind of experience you're looking for, please call and book a consultation today. For more detailed information on the different sedation options and to determine which option is best for you, please watch thisvideo on Ask Dr. George. At Arvanitis and Associates we offer a full range of periodontal therapies to treat all levels of disease. In addition to the standard periodontal maintenance procedures of scaling and deep cleaning, we also offer a full array of surgical and non surgical treatments. This amazing laser allows us to perform non-surgical periodontal treatment using two different laser wavelengths. This Twinlight Therapy is able to completely detoxify the periodontal pockets and through the healing light of the laser is able to regenerate lost bone and attachment. We are very excited to bring this therapy to our practice. 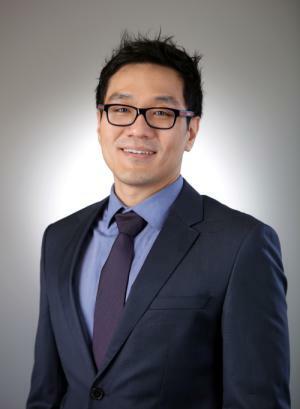 Traditional Epithelial and Connective Tissue grafts harvested from the palate and transplanted to deficient areas to build up keratinized tissue. Alloderm dermis grafts for root coverage. Traditional crown lengthening procedures for the eradication of gum pockets. Aesthetic crown lengthening procedures for gummy smiles. Some of these procedures are carried out with the help of the Lightwalker Laser to speed healing. Unfortunately one of the most common procedures young adults have to undergo is wisdom tooth removal. Our wisdom teeth generally develop between ages 15-19. 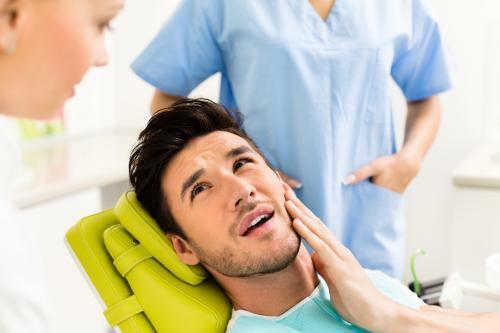 At Arvanitis and Associates we routinely screen our young adult patients to see if they have enough room for their wisdom teeth to develop safely. If everything is fine we leave them alone. If we see that problems have or will develop then we like to be pro-active. Generally the longer the wisdom tooth develops, the harder and riskier they are to remove. That’s why early diagnosis is so important. 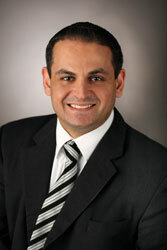 If extraction is warranted we send them to see Dr. Michael Farhadian- our resident wisdom tooth wizard. He has performed thousands of wisdom teeth extractions. 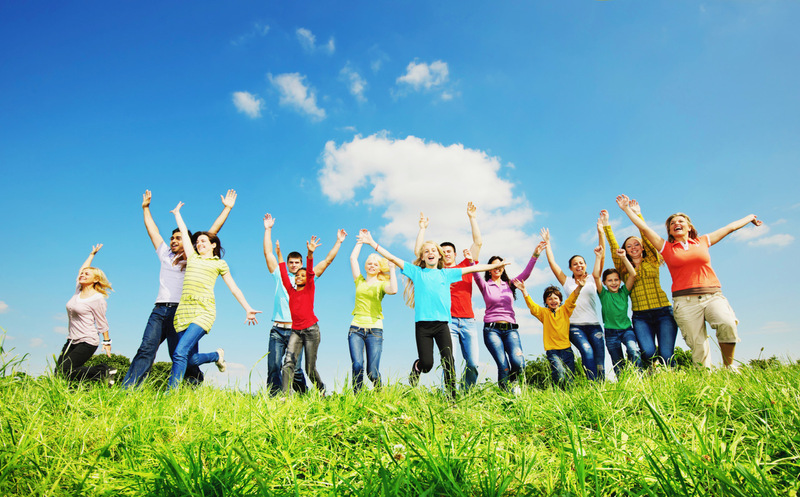 For your safety and to control anxiety we use Intra-Venous moderate sedation. For more difficult cases we even take a CT scan so that we can see the tooth’s position in 3D. Are you tired of opening your mouth and seeing black teeth? Let's face it- very few of us have perfect teeth, free of decay and fillings. In many cases, those old fillings will eventually lose their seal and go bad, weakening the tooth, allowing additional decay to form under or around it. Do you wonder if there might not be a better way to restore your teeth? Well, composite fillings and porcelain crowns are your answer. Modern white restorations are durable, aesthetic, and mercury free. There are three kinds of white restorative materials: composite resin, and Zirconia porcelain and Lithium Di-Silicate porcelain. CEREC - Milled Porcelain Fillings and Crowns made while you wait! 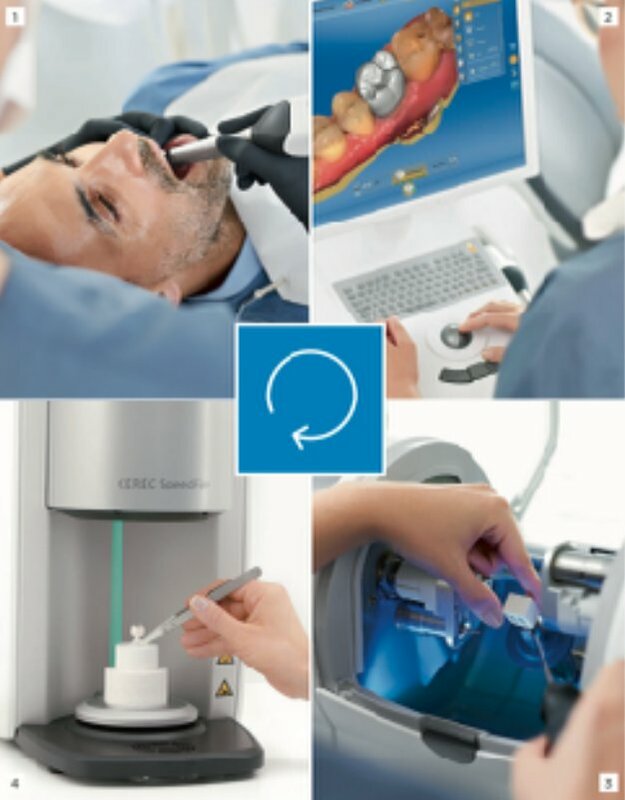 One of the technologies that we have at Arvanitis and Associates is CEREC. This is a method whereby a digital scan of your prepared tooth can be taken and a Cad/Cam milled porcelain crown or filling (onlay) can be made in under an hour. This means that you don’t need to wear a temporary restoration or come back for a second visit and second freezing to deliver the crown or onlay!.